We have ALL Texas CDL Endorsements! Study Today >>> Pass Tomorrow >>> GUARANTEED!!! We have the actual TXDPS CDL HAZMAT questions & answers to all 180 questions. To take the Hazmat test you will have to complete the five written tests and there road skills test before you can take the Hazmat test. In other words you will have to complete your CDL license and be a licensed CDL driver before the TXDPS office will let you test for the Hazmat. Want to get one step ahead? Want to get hired quicker? Most all companies require HAZMAT on your driver license to be eligible to be hired. A person with HAZMAT on their license will be hired faster than a person without it. Once you have completed the road test on your scheduled road test date you can go directly into the driver license office and immediately take the HAZMAT test. This puts you closer one-step ahead to being hired. Take the time between now and your road test date to study the questions and answers to be prepared to pass the HAZMAT the day of the road test after you get your CDL. Want to pass the Hazmat on the very first try? The HAZAMT test is the hardest test out of all of the tests you can take. There are 180 questions that can be asked. There will be only 30 chosen out of 180. You must pass with getting a minimum of 26 right, 80% or higher in the score. We see people make many unnecessary trips back to the driver license office trying to pass the HAZMAT test studying from the CDL handbook or trying to pass with the free practice tests online failing time and time again. Wasted time off work, money lost from not being at work, bosses frustrated you missing work, money lost on fuel and just the aggravation of having to stand in line many times makes it worth using our tests to pass the very first time. Don’t be fooled by free or paid practice Hazmat tests online; those are not the real Texas CDL Hazmat questions & answers you will see at any TXDPS computer. We have the real TXDPS Hazmat CDL questions and answers here on our website! 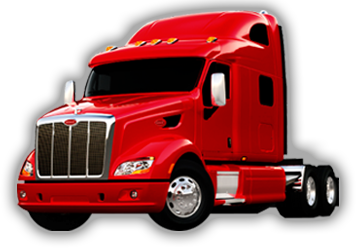 Want to get an endorsement on your CDL license? We have all of them as well. Want to pass an endorsement on the very first try? We have all of the endorsement test questions and answers that you will see at your local TXDPS driver license office on our website's testing program to include: HAZMAT, Tanker, Doubles / Triples, Passenger & School Bus. These are the exact questions & answers; word for word. Nowhere online besides our website will you find the actual real TXDPS questions & answers. those are NOT the real Texas CDL questions you will see on the TXDPS computer. We have the real TXDPS endorsement questions & answers here on our site! Pass the Texas CDL Written Tests on the very first try!